The PowerMaster Automatic Voltage Regulator protects voltage fluctuations from the incoming supply affecting your load and is designed to maintain constant set voltage at all times. The Power Master range includes single and three phase models and can be supplied with phase or phase & neutral and fan or oil filled cooling. The output voltage can be monitored via the front panel analogue voltmeter and certain models are provided with high and low voltage LED indicator alarms. 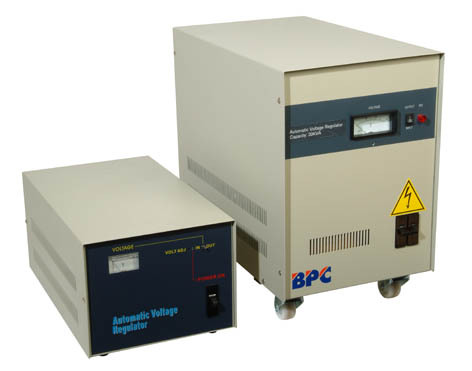 Wide input voltage range models are available and the standard output voltage range of these may be altered upon request.